I'll consider this as a simple task. 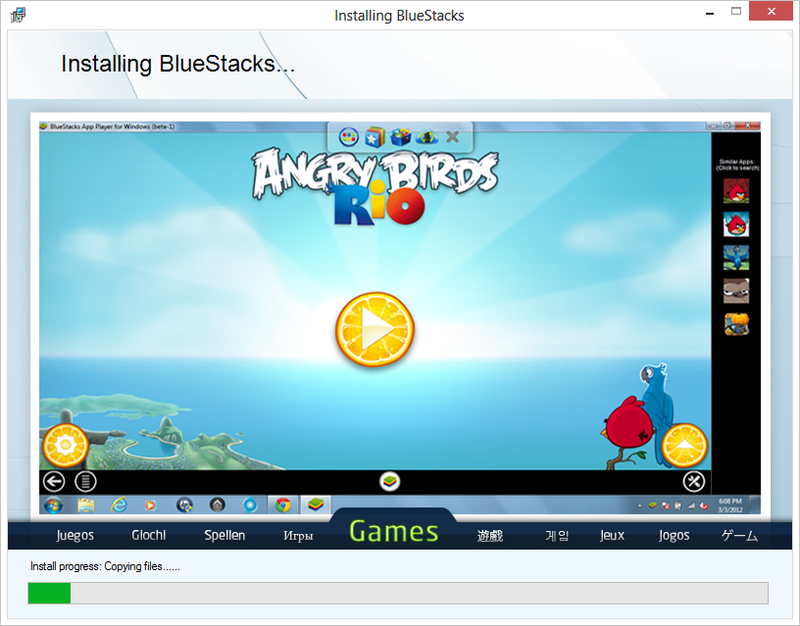 What you have to do is just download and install the BlueStacks App Player. 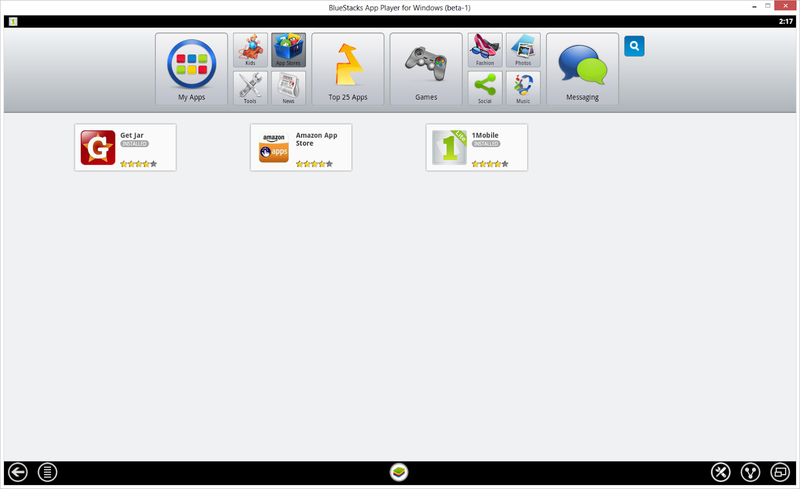 For anyone who doesn't know what is it, BlueStacks is just an Android app player, a Virtual Machine wrapped for your PC (or Mac) with which you can run from games to regular apps, for Smartphones and/or tablets. After you finish installing it what you have to do is downloading and installing WhatsApp right? But, to accomplish it from any Android Smartphone or Tablet, normally you go to the Play Store and then you search for WhatsApp and after you download and install it. Yeah. pretty the same thing, but here you do not have the Play Store Having it means you have been certified from Google, but hey BlueStacks is not a Smartphone or Tablet, so they have to fill the gap, and this is totally done by their 1Mobile Store. You can find it by clicking on "App Stores" on top and after that 1Mobile app. So, you opened 1Mobile app store and you found that is pretty similar to Play Store yeah? 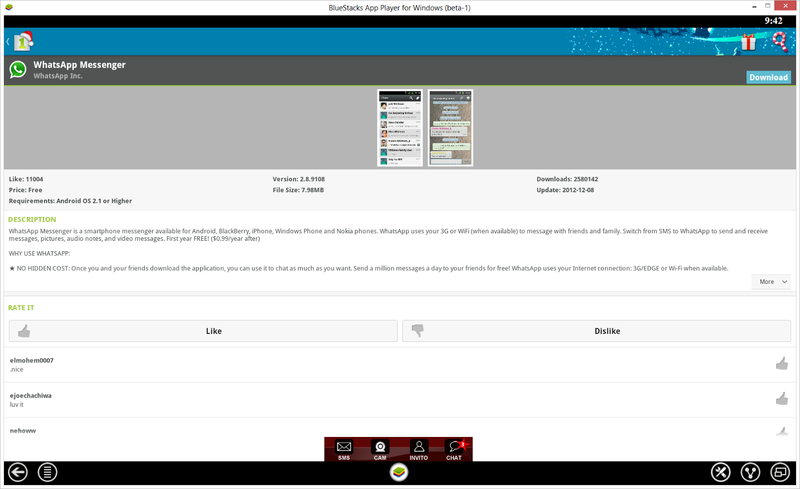 You're right Go fire the search button in the top-right corner of BlueStacks screen and write inside "WhatsApp" and press Enter. You'll be returned with a list of apps matching that name, inside of if you'll find Whatsapp, click on it and then click the Download button. After the download has finished, you will be prompted to install it. Just as usual press the Install button and you're done. You finished installing and it and you're in fact ready to configure it. 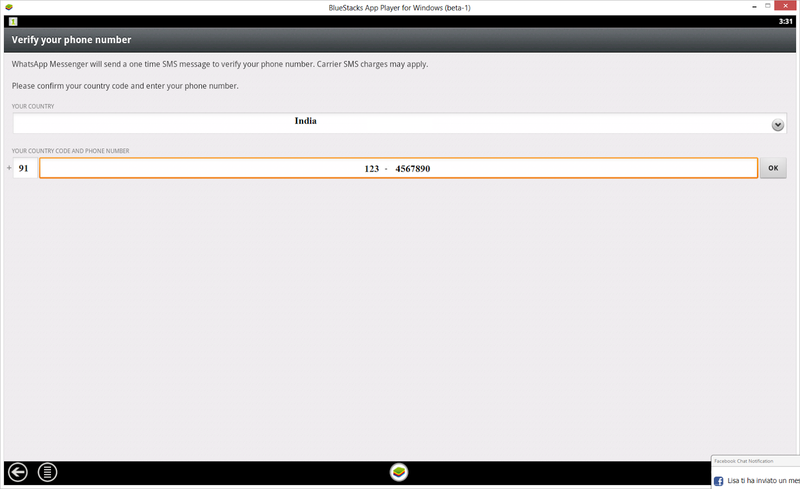 Insert your phone number, follow activation instructions and you're done. So what you have to do here is just, be sure to use a phone number you're going to use only from Desktop and to share that number with anyone you care to chat with. 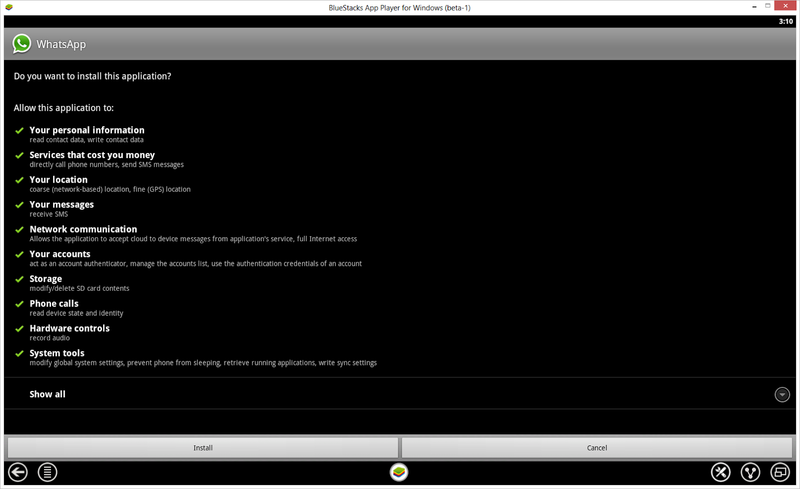 In fact, you have to add also this numbers to your Address Book, and you can reach it directly by pressing the Menu button in the bottom-left corner of your BlueStacks screen and than doing Manage Contacts.